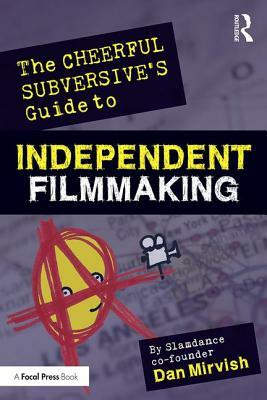 In The Cheerful Subversive's Guide to Independent Filmmaking, celebrated Slamdance Film Festival co-founder Dan Mirvish offers a rich exploration of the　process and culture of making low-budget, independent films. Once labelled a "cheerful subversive" by The　New York Times, Mirvish shares his unfiltered pragmatic approach to scriptwriting, casting, directing, producing, managing a crew, post-production, navigating the film festival circuit, distributing your film, dealing with piracy and building a career. Readers will learn how to game the Hollywood system to their advantage, get their films accepted by respected festivals without going broke, and utilize a broad range of media and tactics to promote and distribute their work. A companion website features behind-the-scenes interviews and footage from Dan's films, and much more. Dan Mirvish　is a director, screenwriter, producer, inventor and author. Mentored by Robert Altman on his first film,　Omaha (the movie), Dan co-founded the Slamdance Film Festival. Dan's film　Open House　forced the Academy Awards(R) to rewrite their rules, and he also co-wrote the critically-acclaimed novel　I Am Martin Eisenstadt. His award-winning film　Between Us　played in 23 festivals and sold to 144 countries. Dan's latest film isBernard and Huey,　written by the legendary Jules Feiffer. He's also written for　Filmmaker Magazine, Indiewire　and　The Huffington Post. Dan has a master's degree in film from USC and has　guest lectured at UCLA, NYU, USC, CalArts and many other film schools. Once　labelled a "cheerful subversive" by　The New York Times, Mirvish was named one ofVariety's　Top 50 Creatives to Watch.